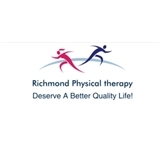 Richmond Physical Therapy (Staten Island) - Book Appointment Online! We are North Shore Specialist Located in the Heart of Staten Island! Please visit our website for more details. We Specializes in The following: * Neck and Back pain, radiculopathies * Frozen Shoulder, post surgical shoulders, tendinitis, * Rotator cuff rehab * Arthritis * Joint replacement surgeries * Plantar Fasciitis, Tennis Elbow * Vestibular Conditions * Gait and Balance Impairment and more..